Several nice CLAM related presentations has been given in conferences during last month. 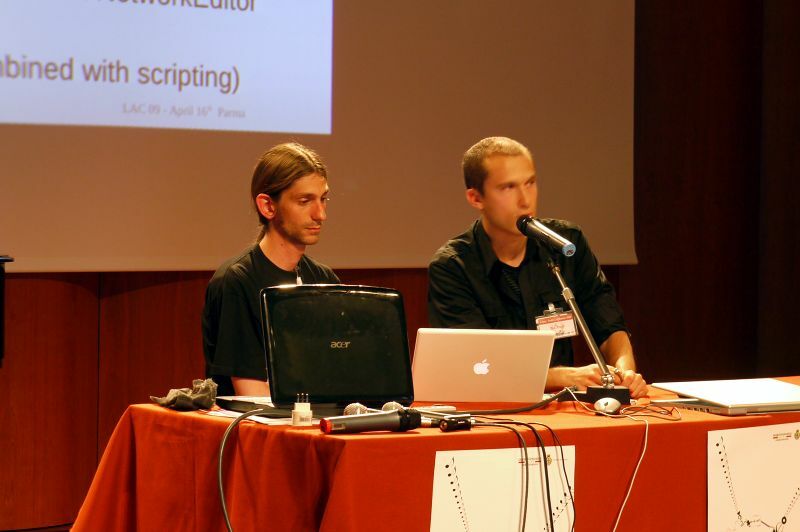 At the Linux Audio Conference in Parma, we presented an article on Blender-CLAM integration for real-time 3D audio (paper, slides, and video available at the link) and we also gave a workshop on CLAM app and plugin prototyping features. At the WWW2009 in Madrid, we presented an article on the new web services based extractors for Annotator and the data source aggreation interface also some videos of the presentation and demos are available featuring data sources aggregation and live chord extraction from youtube videos. This entry was posted on May 17, 2009 at 11:24 pm and is filed under catalan, english, spanish. You can follow any responses to this entry through the RSS 2.0 feed. You can leave a response, or trackback from your own site.